Introducing: CommScope's High Speed Migration platform that assists data centre managers with building faster, more agile, high-density migration plans..
Statistics say only 10% of data is ever used out of the masses of video data collected. 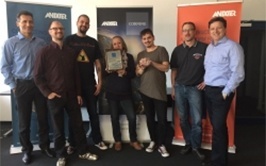 Bosch believes the future is to utilise the hidden potential..
Anixter Sweden and Anixter Switzerland receive awards in recognition of their hard work in 2016 at Corning’s Partner Summit in Barcelona. 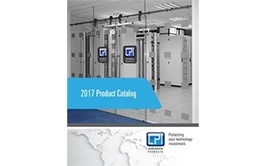 more..
CPI announces the release of their 2017 Product Catalog, which includes the latest infrastructure innovations. 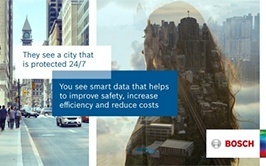 Free Poster From Viavi Fiber - "Get Fibre Smart"
Have you got your complimentary Viavi poster? 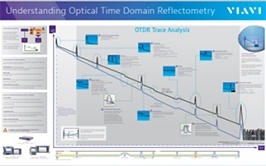 Get your "Understanding Optical Time Domain Reflectometry: Get Fibre Smart" poster for free now with Anixter. 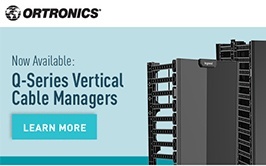 The newest in cable management from Legrand, Q-Series is the value option in vertical managers, which enables optimal network performance. Panduit's revolutionary PanMPO™ Fiber Connector changes the face of 10G to 40G infrastructure migration. See how this single connector works with any polarity or gender. Congratulations to Transition Networks who, thanks to you, is celebrating 30 years of built-to-last products, expert service and quality solutions. Corning's EDGE8 solutions strengthen your data centre using original EDGE solutions but with added superior benefits. Raised Floor Mount Fan Unit is the latest addition to the Austin Hughes InfraCool range. Find out how it can benefit your business.